Various locations - see class list. New series of workshops to learn more about pollinators, nectary and pollen plants, collecting, cleaning and saving seed from native pollinator plants and garden design for a sustainable pollinator garden. Class size is limited. Cost is $40 cash at the first class for all for classes. $10 bucks a class is quite the deal. Note classes are at different locations. 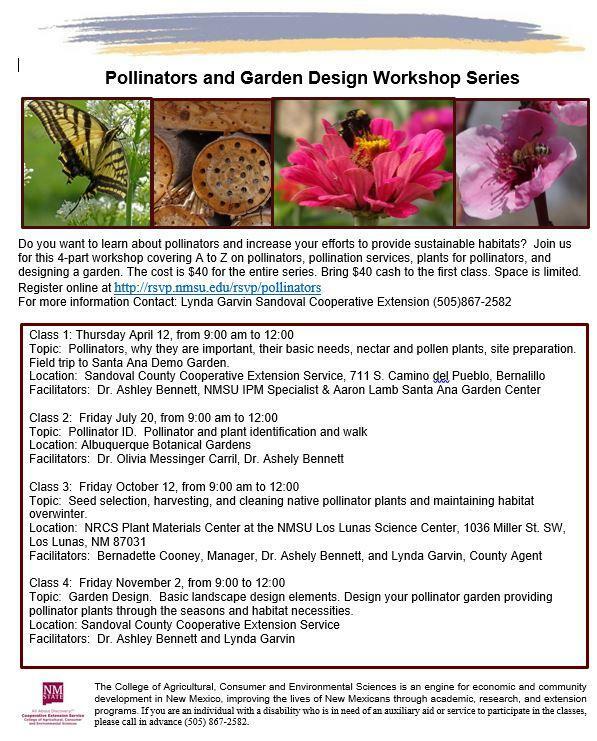 Download the Pollinator Workshop Flyer her.